Wash the rice well. Boil the rice until done. Drain & keep aside uncovered. Heat oil in a kadai (nonstick preferably). Fry the peanuts on medium flame until light brown in color. Remove and keep aside. Now temper with red chili, mustard seeds, bengal gram and curry leaves. Add rice, salt and turmeric powder. Mix well on low flame. Add lime juice, hing and peanuts. Mix well, the color of the rice will change beautifully at this stage. Check salt. Remove from heat. Serve hot with Pan Fried Baby Potatoes and raita. 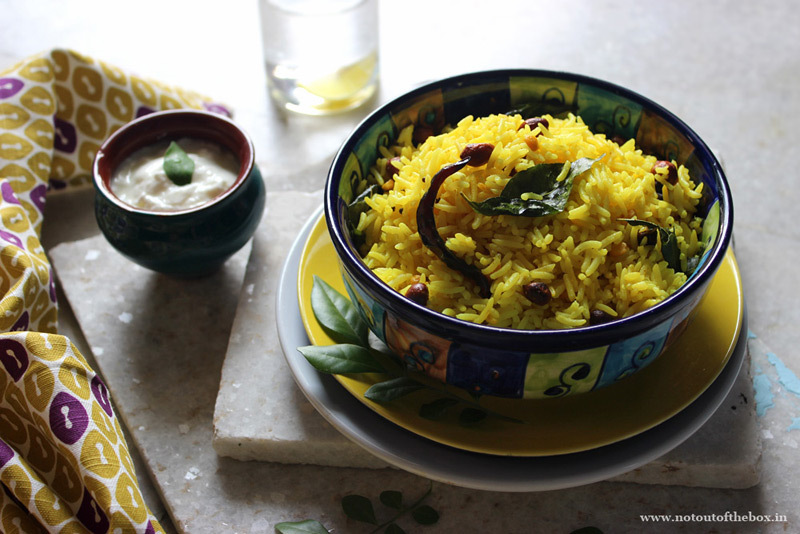 Or you can pair this rice dish with any non-vegetarian dish. This subtle and light flavorful rice goes very well with any kind of curry. Or have this just the way it is with some raita and pickle. Enjoy! 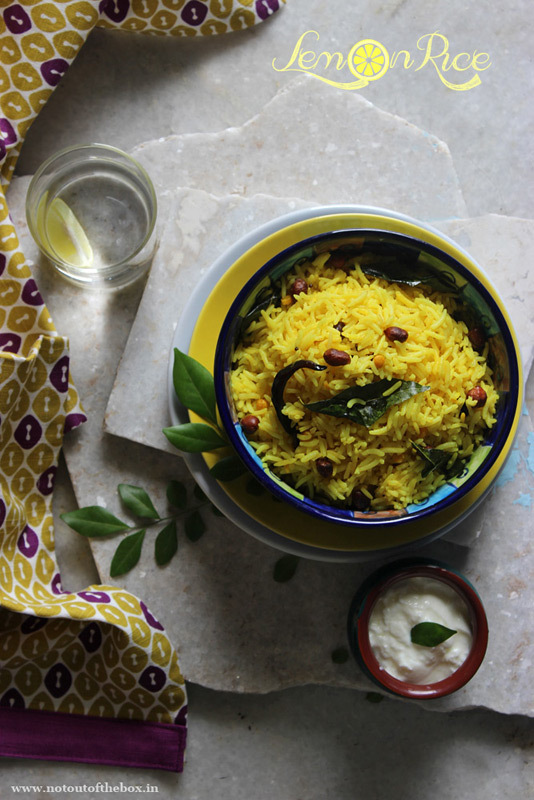 You can make lemon rice with any leftover rice too.